There is often confusion in the use of the terms feral and stray. It is important to know or be cognizant of the differences, since ‘feral’ is a word that is frequently misused and overused. 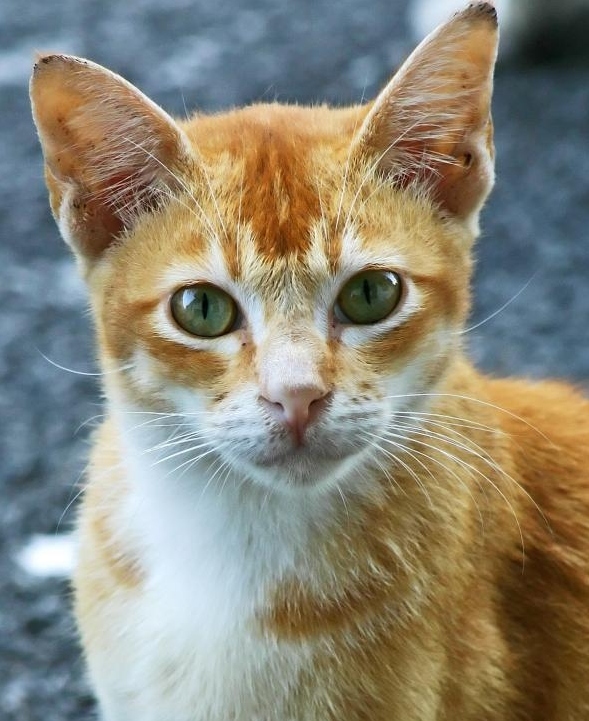 The label can have dangerous consequences for cats since most shelters will kill ‘feral’ cats, or people will assume the cats are damaged and will never be socialized to people. There is a stigma associated to feral cats. Many cats are mislabeled as feral simply because they are found wandering the streets or are homeless. Other cats are labeled ‘feral’ because they are fearful or dislike handling, are sound sensitive or hide frequently. The cat rummaging around the garbage bin in an alley or behind someone’s yard, may or may not be feral. Most likely they aren’t. They may just have been neglected, abandoned and/or on their own for a long time. What does feral mean? In simple terms, a feral cat is a cat who has never been socialized to people, which means has never been handled by people during the socialization period in kittenhood. The effects of lack of socialization to touch or human contact is pronounced by 7-8 weeks of age. A free-roaming cat might be feral or might be abandoned, neglected, lost or simply allowed to wander. Most outdoor cats in the city or suburbs are not ‘feral,’ but strays. These homeless or outdoor cats were once owned by someone, even if it was only for a short time or duration. Many cats who are homeless or stray can initially be quite frightened of people, even though they were handled as kittens. Other cats, such as dependent and needy cats, when away from their owners or special people, can respond in a fearful manner. Many cats when caught in traps, for instance, will panic or respond aggressively. There is no way to know if a cat is feral, unless you are aware of the the cat’s history in kittenhood prior to 8 weeks of age. Only spending time with the cat, and allowing the kitty to acclimate in a calm, safe quiet environment will shed light on the cat’s prior socialization experiences. Alana Stevenson can be contacted through her website AlanaStevenson.com. She provides consultations by phone & Skype.